The Alfa Romeo 155 V6 TI DTM was the car competition which Alfa Romeo decided to join the DTM (Deutsche Tourenwagen Meisterchaft) with a team headed by Giorgio Pianta, at that time director of the Fiat Racing Department. The car was not immediately welcome by Germans that was all fan about the Mercedes 190 DTM, undisputed leader of the championship, but the 155 demostrate to be fast and reliable, also driven by two talented drivers, Nicola Larini and Alessandro Nannini. The Alfa 155 DTM of Nicola Larini dominated during the championship, so to win 10 races out of 20, earning 3 pole position and becoming the season Champion. In the race of Nürburgring Nordschleife, which had 25 km of track, Larini won both runs, entering the history of Alfa Romeo for let the brand win on that circuit after Tazio Nuvolari before the war. This mod is not complete. 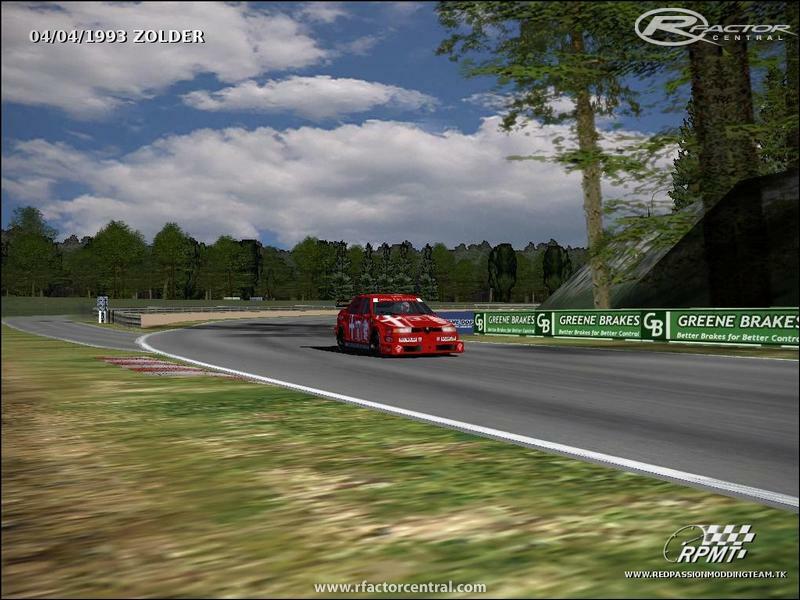 Many events occurred during last years and I was not able to spend the desired time to complete this mod, and first of all to learn all the matters about rFactor Modding. 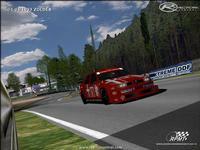 Since 2008 my contents are related only about 2D and 3D graphics, the only abilities that I own. Sorry. 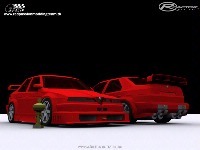 Actually, I am a great fan about Stefano Casillo s Assetto Corsa, I heard that the Alfa 155 V6 TI will be an official car of his simulator, so comparing this mod to his masterpiece will be impossible, even if this mod will be finished. So I decided to release this incomplete mod, only to show my (also incomplete lal) 3D model. Feel free to try, criticize, appreciate or insult that, but if You want to modify that or add Your contribute, write to redpassionmoddingteam@gmail.com , I will be glad to add Your contents and credits on this mod! Oh please you guys, finish this awesome car. 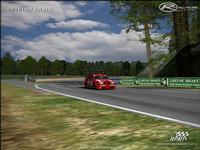 Oh, the GT5 version of the 155 is just awesome...that exhaust note! anche io amo questa mitica auto!!!!! Spero ke finiate questo lavoro xke entrerebbe nei cuori di molto giocatori! Muy buen auto! es el unico Alfa Romeo que me gusta!! Mi amigo Sebastian va a estar muy feliz con este mod! AWESOME car!! One of the best race car ever! Nice!!! 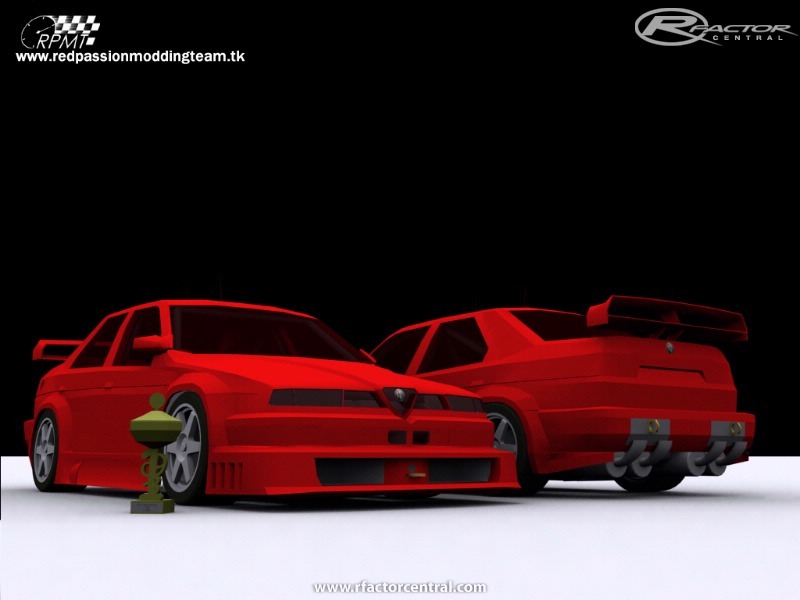 Finaly a mod with an Alfa Romeo 155!! !